This sweater should be in the top of your list of wardrobe essentials. This sweater should be in the top of your list of wardrobe essentials. 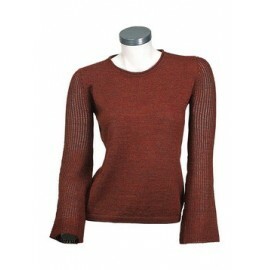 Casually sophisticated, this unique sweater will be a welcome addition to any wardrobe. 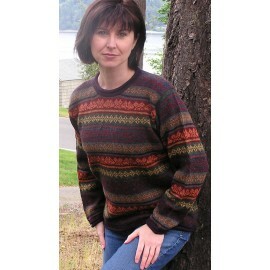 This pretty sweater will keep you cozy and warm in those cool seasons . Of the four different world camelids in South America, the llama, vicuna, guanaco and the alpaca, the alpaca is most important and valued for its fabrics that are obtained from their wool weaving. While all these camelids produce wool, alpaca wool is the best by far, so breeders are usually enchanted by this species.